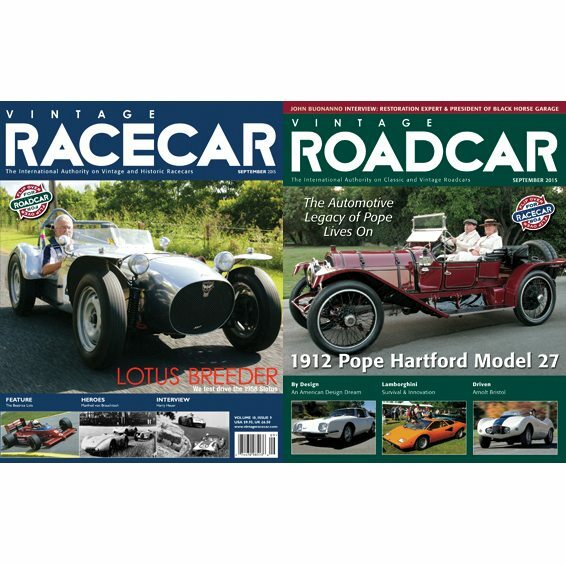 July 2015 issue of Vintage Racecar | Vintage Roadcar. Interview: Denise McCluggage – We offer our tribute to “herself” with a revealing look back at her life and times. 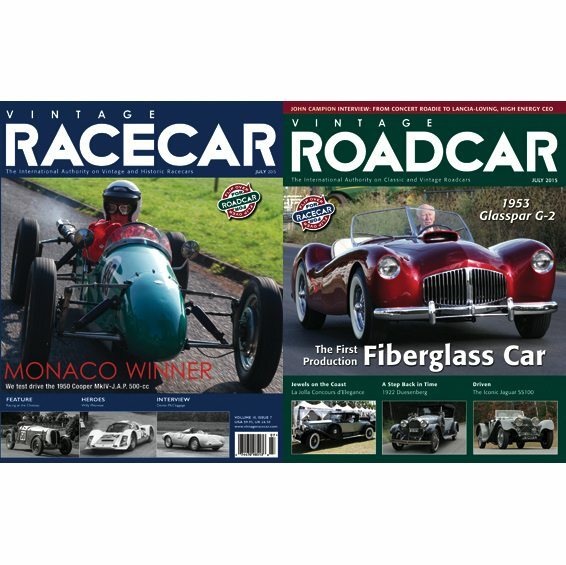 Profile: Monaco Winner – Mike Jiggle shares what it’s like to drive Stirling Moss’s 1950 Cooper MkIV-J.A.P. 500-cc special, a car that once graced the winner’s circle at Monte Carlo. 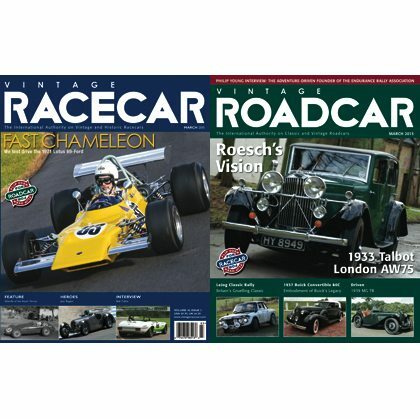 Feature: Speed Events at the Chateau – Mike Jiggle looks back upon the history of hillclimbing at England’s Chateau de Impney. Heroes: Willy Mairesse – Robert Newman looks back upon the career enjoyed by the Belgian battler racing F1 and sports cars. Legends Speak: My Sportscar Memories – Nigel Bennett addresses his days as a Firestone tire engineer before he became a winning Indycar designer. Art History “Fangio’s Farewell” – Jonathan Carter creates an image from Juan Manuel Fangio’s final Grand Prix. 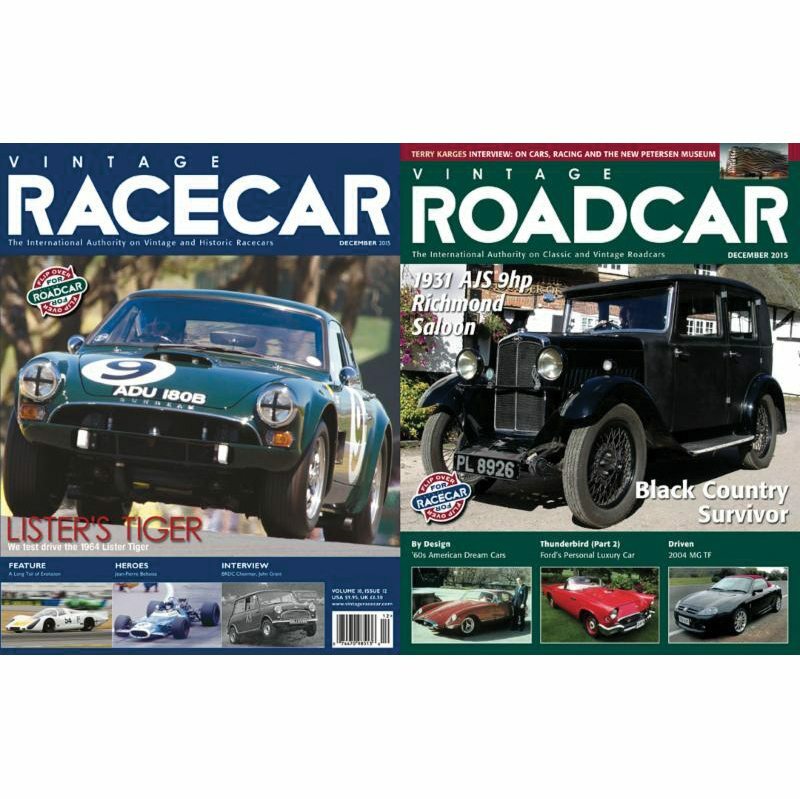 Greatest Racecars: LM Replica Frazer-Nash – Peter Sutcliffe selects the car in which he learned the essential lessons of motor racing as his all-time favorite. 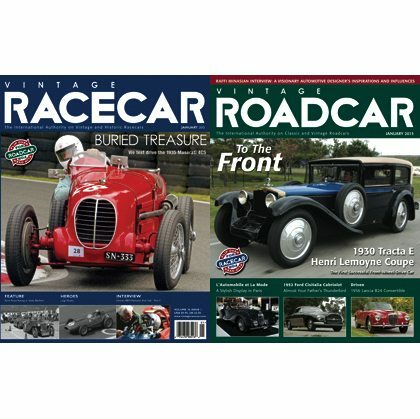 Last Lap: Songs from the Wood – Mike Lawrence remembers his friend Frank Costin, who thought wood an excellent automotive material.